Teak is a remarkable, oily, exotic tropical hardwood with great beauty and durability. It is also costly relative to other wood, and requires special attention and careful maintenance to keep it looking good. When new and in its natural state, teak has a varied golden brown color that ages gradually to a handsome silver gray appearance if untreated. This color change has little if any affect upon the structural integrity of the base wood. However, it is the final appearance preference that will determine the finishing product choices. An ideal material for many outdoor applications and found extensively on all types of boats, teak is also used to construct indoor and durable outdoor furniture. Regardless of where it is used, teak cleaning, maintenance strategies, oiling, varnishes and other final finishing choices are similar. Oiled Teak is an attractive and popular alternative to varnishing. Oiling surfaces helps maintain the beauty and warmth of the original wood by bringing out the highlights while deepening the color and grain. However, most products labeled teak oils should be considered a dressing or temporary treatment that does little to preserve or protect the wood structure, particularly in exterior applications. Such oils, depending upon the severity of the environment (sun exposure, rain, salt spray, etc. ), will likely need to be reapplied on a monthly basis. Examples: Amazon's Teak Oil; BoatLife Teak Brite Teak Oil & Sealer; Interlux Premium Teak Oil; MaryKate Nu-Teak Oil; Meguiar's Gold Teak Oil; StarBrite Teak Oil. Sealed Teak is another option that preserves a natural appearance while providing a measure of protection by sealing out dirt, grime and moisture. Teak sealers will need to be reapplied regularly to maintain their effectiveness. Examples of sealers: BoatLife Teak Brite Teak Oil & Sealer; Semco Teak Sealer. Varnished Teak is the ultimate goal of many a boat owner wanting the classic deep brightwork finish. Varnished teak, however, requires many hours of labor to create a perfect finish and a commitment to a regimen of constant maintenance. After each varnish coat, sanding will be needed to even the surface and prep for the next coat. This process will be repeated many times, as the varnish coating is built up layer by layer. A finished, varnished surface will provide a look unmatched by any other material or product. The varnish coating imparts a real level of protection by preventing rot, moisture absorption, cracking, staining and contamination by dirt. Other Wood Finishes appropriate for teak include a relatively new product class that provides a synthetic 'varnish like' appearance that is easier to apply and maintain. Examples ofinclude Sikkens Cetol Marine and Blue Water Marine Armada Wood Finishes. Both Cetol and Armada formulas are based on alkyd resins that contain synthetic transparent iron oxide pigments to shield wood against damaging sunlight. These products do not require sanding between coats, making them quicker and easier to apply. Such coatings remain flexible, allowing the wood to expand and contract without cracking or flaking. These translucent finishes are ideal for interior and exterior wood surfaces. What is the difference between Raw and Boiled Linseed Oil? "Raw" linseed oil is harvested from flax seed and packaged with no additives or preservatives. Raw linseed oil dries very slowly and can take weeks to fully cure. Raw linseed oil has a few practical uses: sealing wood gutters, chopping blocks, sawhorses, and other items exposed to the weather. "Boiled" linseed oil was boiled in years past in order to improve its drying characteristics. Modern processing makes this "boiling" unnecessary. Boiled linseed oil is now produced by the addition of various solvents that help to speed the drying process. Due to this faster drying quality, boiled linseed oil is the better choice for preserving tool handles, gunstocks, decks, and furniture. >Boiled Linseed Oil is a natural wood finish and preservative that can be used alone or may be combined with a variety of other oils and solvents. Linseed oil is often mixed with oil based paints and varnishes to improve leveling and finish durability. A mixture of 2 parts boiled linseed oil to one part turpentine creates a semi-gloss wood polish for furniture. Note: Linseed oil tends to darken with age. Genuine 100% Tung Oil is pressed from the nuts of a tung tree. First imported from China in the early 1900s, it was used for producing water-resistant finishes, making it ideal for outdoor applications. Tung oil is applied in a similar fashion to linseed oil. However, Tung oil must be sanded after every coat, ofter requiring five to seven coats. This can be time consuming since two to three days drying time may be required for each coat. Modern formulations of Tung Oil often contain added solvents, chemical driers and other ingredients that modify the product properties. Examples: Amazon's Pure Tung Oil; Circa 1850 Tung Oil; Circa 1850 Tung 'n Teak Oil; Circa 1850 Marine Grade Tung'n Teak Oil; Minwax Tung Oil Finish. Danish oil is a wood finishing product that can be made from Tung oil or Linseed oil or a combination of both plus other ingredients. The final blend may include resins to increase hardness, driers, solvents and other oils. Formulations will differ somewhat from one manufacturer to another. Danish oil may be successfully applied by brush or wiped on with a rag. It dries to provide a water-resistant, tough surface and can also be used as a primer-sealer on bare wood before applying varnish or paint. Examples: Circa 1850 Marine Grade Antique Danish Oil ; Watco Danish Oil. Cleaning Teak is a necessary process if you are restoring weathered or neglected surfaces. A good approach to follow when cleaning teak is to 'do no harm'. This means when refurbishing teak, harsh chemical cleaners will remove wood, abrading or sanding teak surfaces removes wood. Once removed, abraded teak surfaces cannot be replaced. Strive to use the mildest cleaners and the least aggressive abrasives that will do the job. Where to use: Exterior structures: teak yacht decking, teak hand rails, teak cockpit grates, teak outdoor furniture. Review the product literature to confirm each application prior to use. Do not use for: Interior teak paneling, delicately finished teak objects. See note above. Cautions: Avoid prolonged or repeated skin contact. Use only in well ventilated areas. Two-part cleaners may cause burns or skin irritation. Consult the product safety information. One-Part Cleaners: One-component teak cleaning products are generally the more wood friendly option when the surfaces being treated are lightly soiled. Most of these products do not contain acids, caustics or bleach. These products are the safest and simplest to use while providing good results. More scrubbing will be required which means more work. If the teakwood is heavily soiled, weathered, stained or neglected, a one-part cleaner may not be adequate. 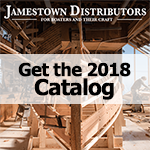 Examples: Amazon's Teak Cleaner; BoatLife Teak Brite Cleaner; Interlux Teak Restorer; MaryKate Nu-Teak Brightener, Cleaner; StarBrite Teak cleaner; Owatrol Deck Cleaner & Brightener; Teakdecking Systems Teak Cleaners. Two-Part Cleaners: Two-component cleaners are the most aggressive choice when the milder cleaners do not provide satisfactory results. Generally, their harsh chemicals includes acids, caustics, or bleach. These products should be used with great caution since they will remove some amount of teakwood fibers as well as possibly damaging surrounding paint, caulk, etc. Personal protection is very important, always shield bare skin (hands - gloves, legs, feet, etc. ), wear eye guards (glasses, goggles, etc. ), and handle all products with care. Examples: Amazon's Quicki II Two-Part Teak Cleaner; Semco Teak Cleaner; Snappy Teak-Nu; TE-KA Teak Wood Cleaner.